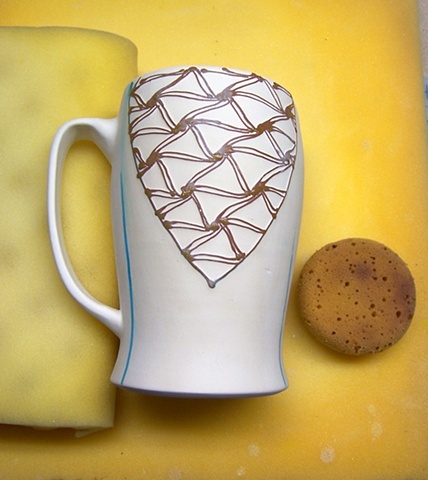 Using a sponge, underglaze is washed away with clean water. Care is taken not to displace the drawing, which is protecting the underglaze beneath it from being washed away. This leaves the drawing in slight relief, as some clay is also washed away in the process.